Eastasiasoft have announced that their upcoming strategy RPG Rainbow Skies will finally be launching for PS4, PS3 and PS Vita in 2018, following it’s initial announcement in 2013. A teaser trailer has also been released giving us a first look at the game. Furthermore, limited and collector’s editions for the PS4 and PS Vita releases of both Rainbow Skies and Rainbow Moon are available to order exclusively at Play-Asia right now (more on those below). From the makers of Rainbow Moon comes Rainbow Skies, a new fantasy role-playing game. Immerse yourself in a colorful and vibrant world, filled to the brim with friends and foes, murky dungeons, turn-based battles, towns, shops, and everything else your role-playing heart desires. Tamable monsters, upgradable characters, and a variety of weapons and equipment offer you a wide range of customization and character development possibilities. Tons of optional and endgame content, side and treasure hunt quests, a humorous story, and other exciting content will keep you hooked for countless hours. 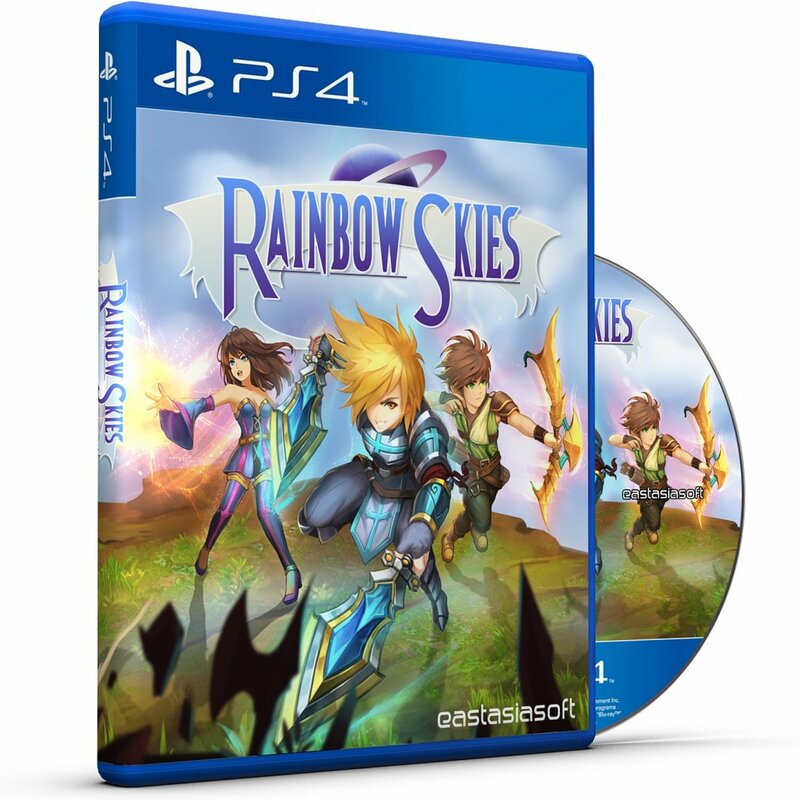 Rainbow Skies will launch in 2018 for PlayStation®4, PlayStation®3 and PlayStation®Vita. Pre-order a physical copy now at Play-Asia.com. Here is the trailer for the game below. You can also check out the official website here. To guarantee yourself a copy of either game, you must preorder before the end of February 2018. Rainbow Skies launches in 2018 for PS4, PS3 and PS Vita. If you would like to order a copy of any of the editions discussed in this article and support Operation Rainfall, you can use one of the affiliate links below.